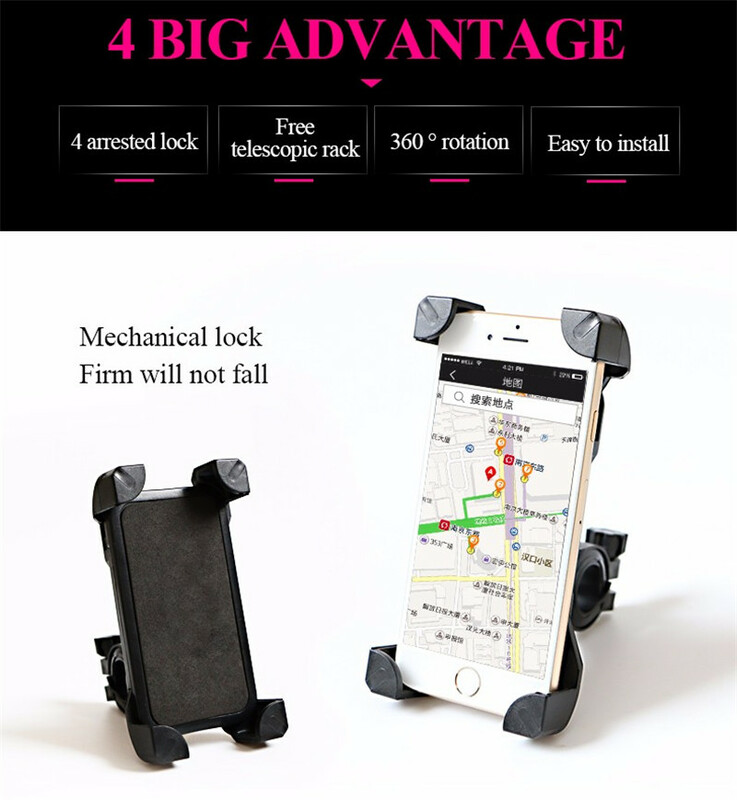 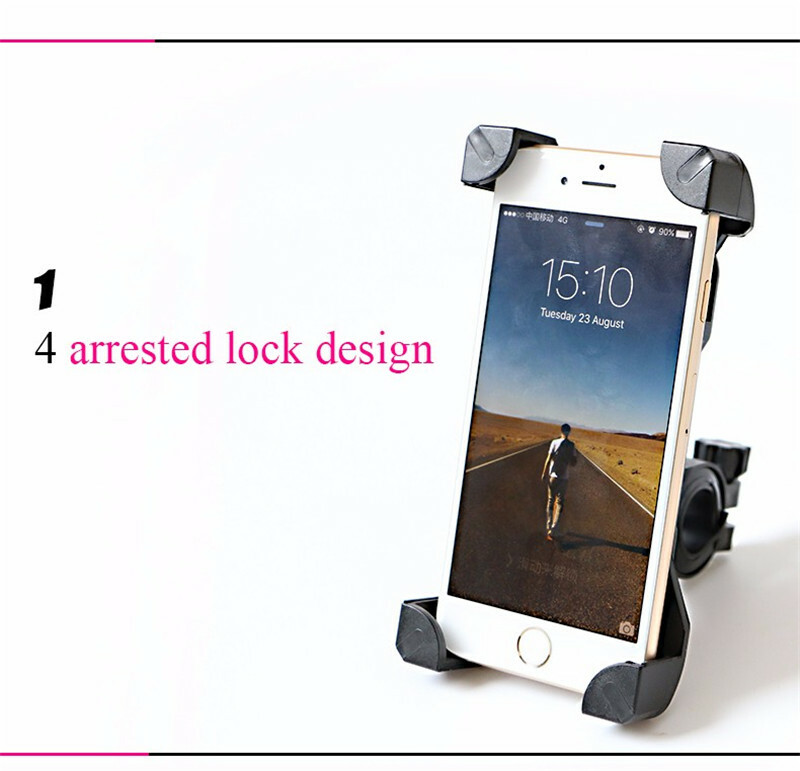 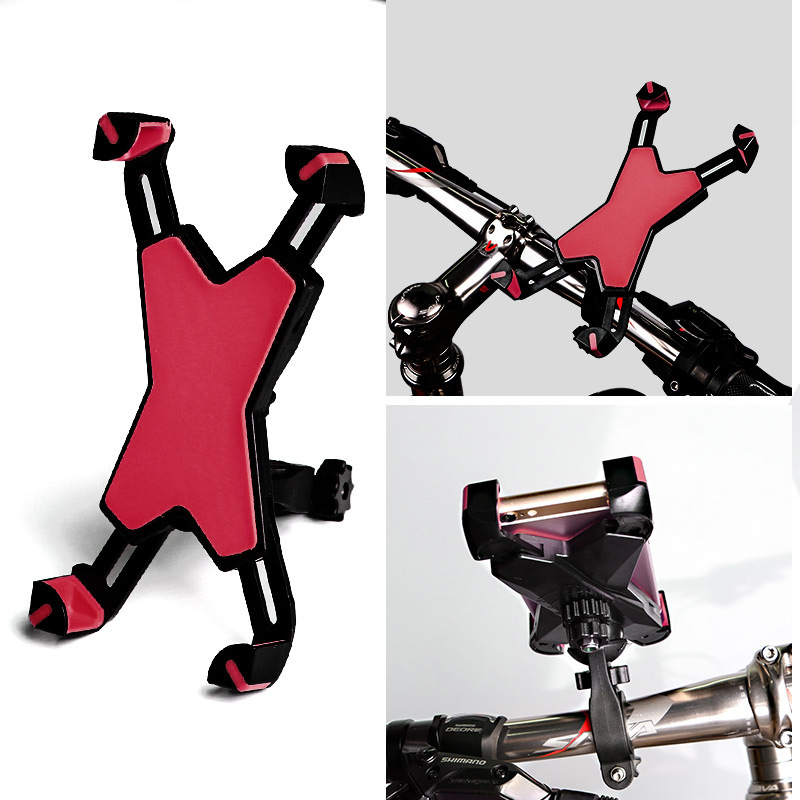 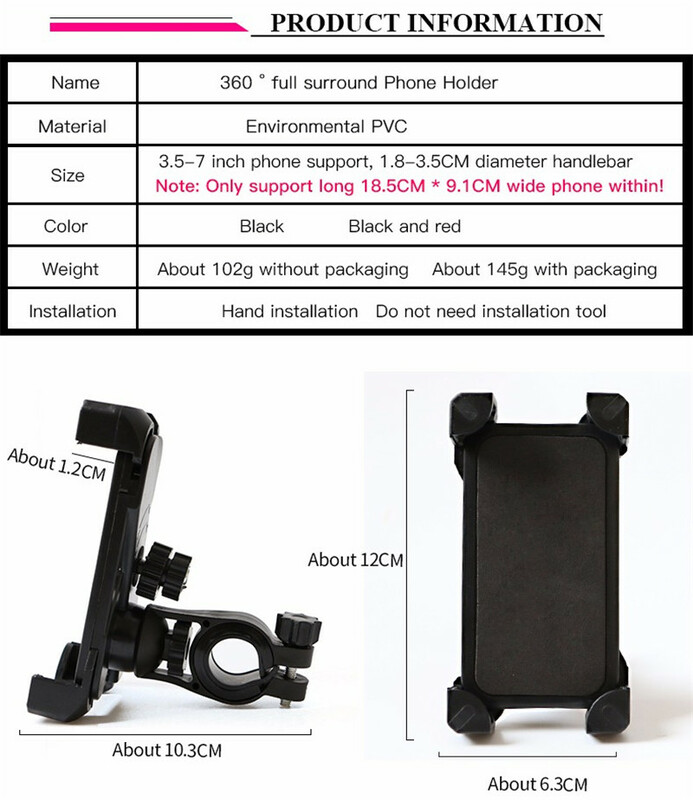 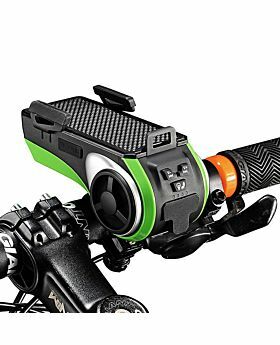 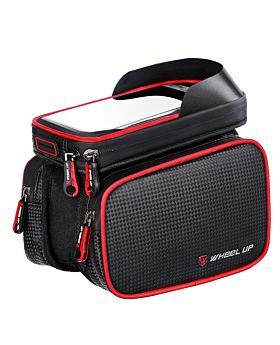 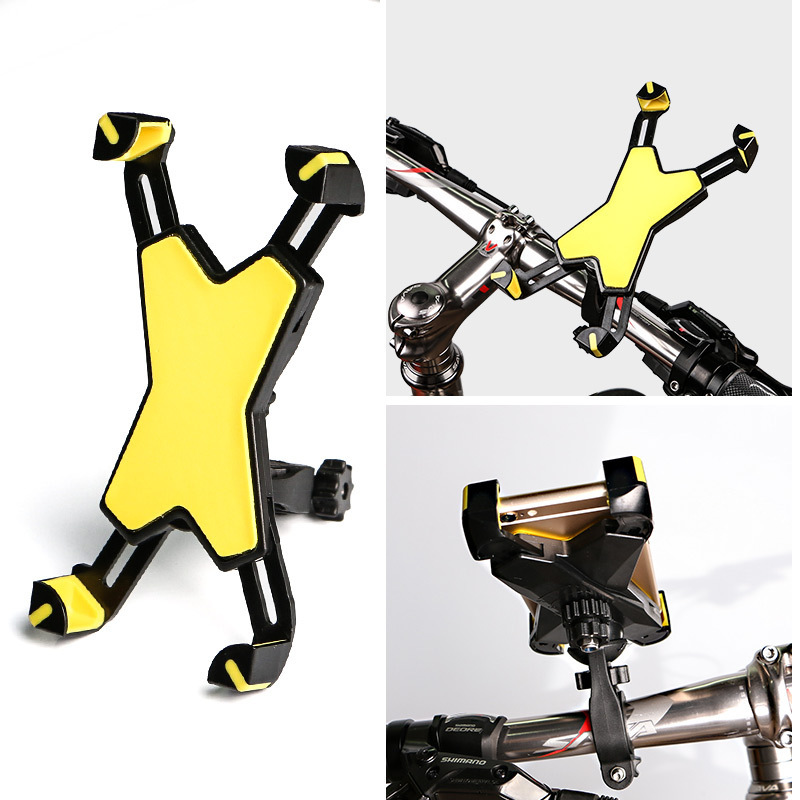 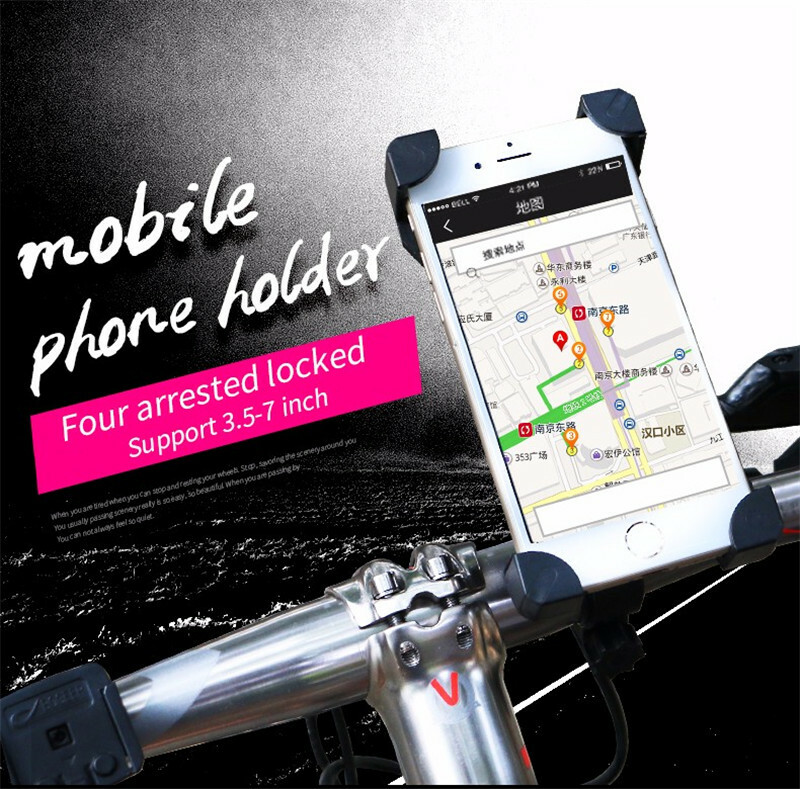 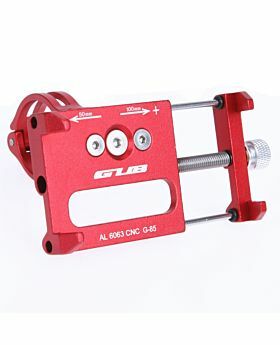 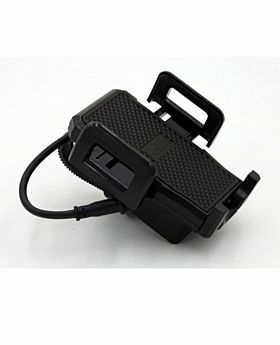 Size: only support 3.5-7 inch mobile; 1.8-3.5cm handlebar diameter. 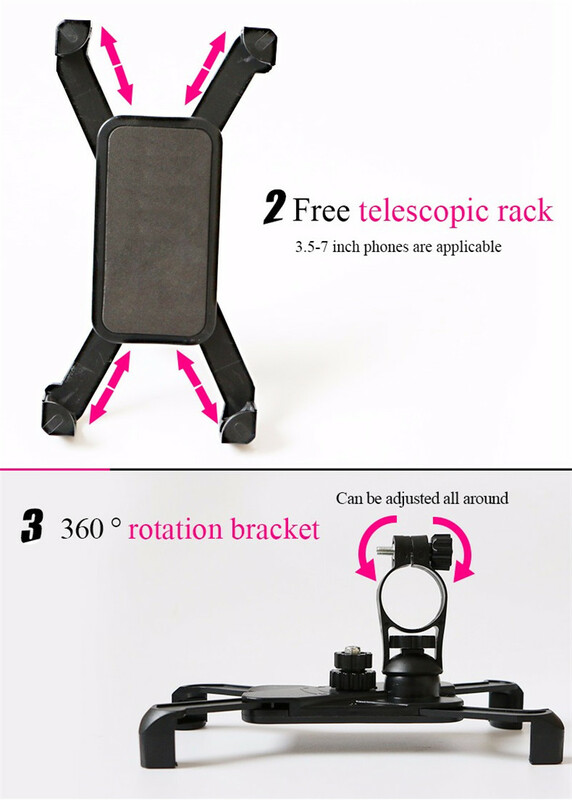 360 degrees rotation, secure and handy. 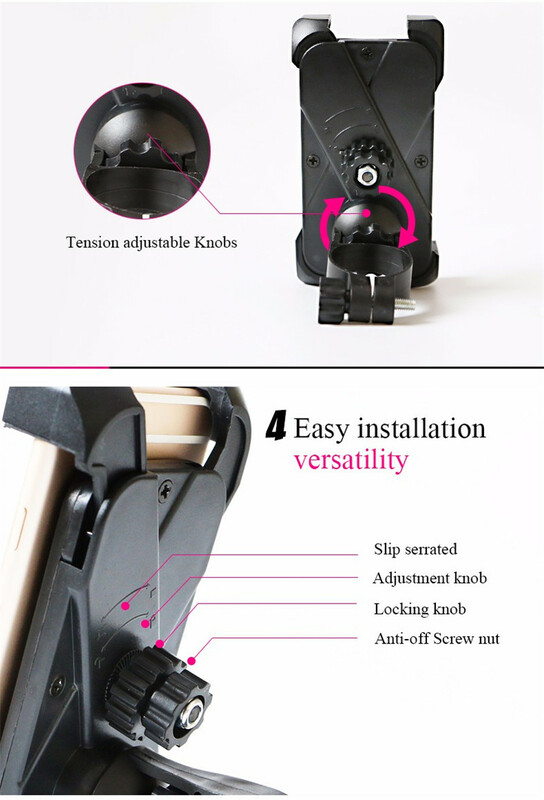 There are cushions on the inside of the four corners. 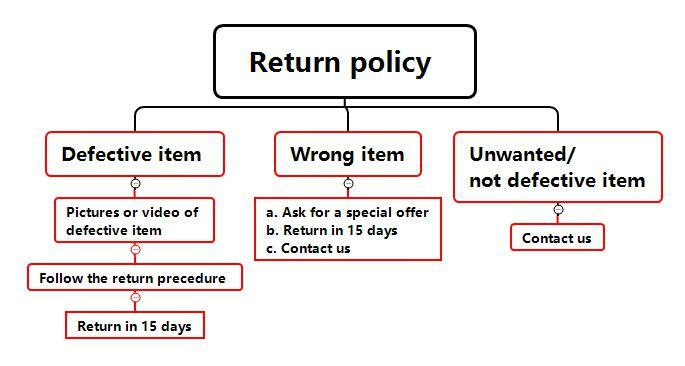 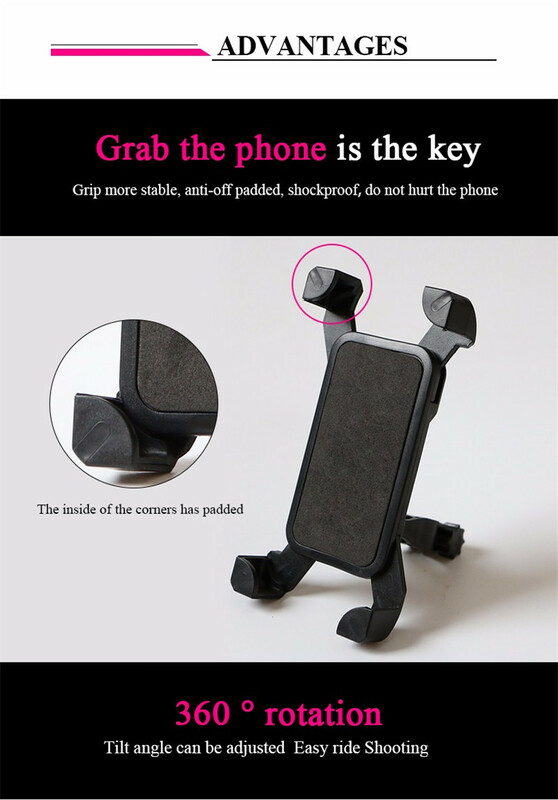 Anti-skid shock absorption and rejection of cell phone damage.